Unless there is an acceleration in inflation, the turning point for precious metals figures to be around the time the Fed ends its rate hikes. 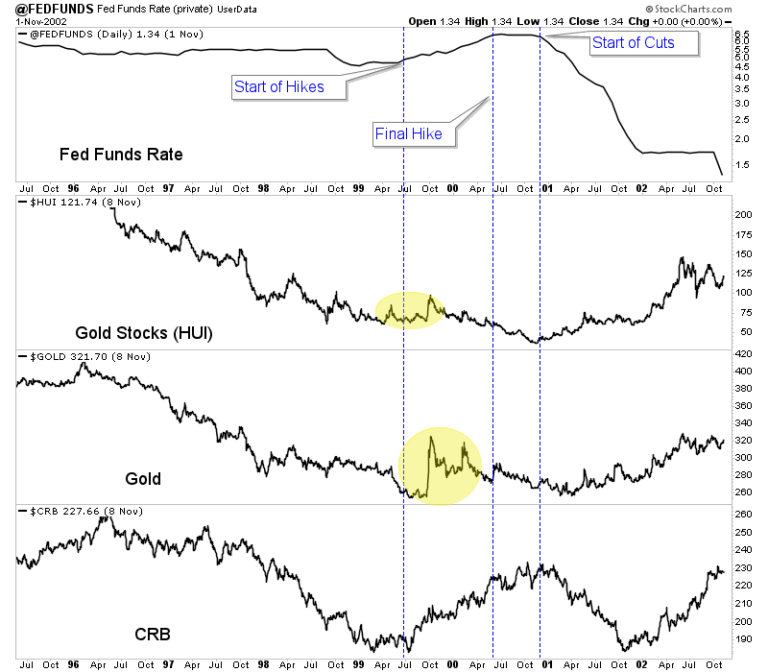 That would likely coincide with Gold regaining outperformance against the stock market, which we have noted as Gold’s missing link (from an intermarket perspective). Weakness in the economy and stock market would lead to an end to the rate hikes and then rate cuts. 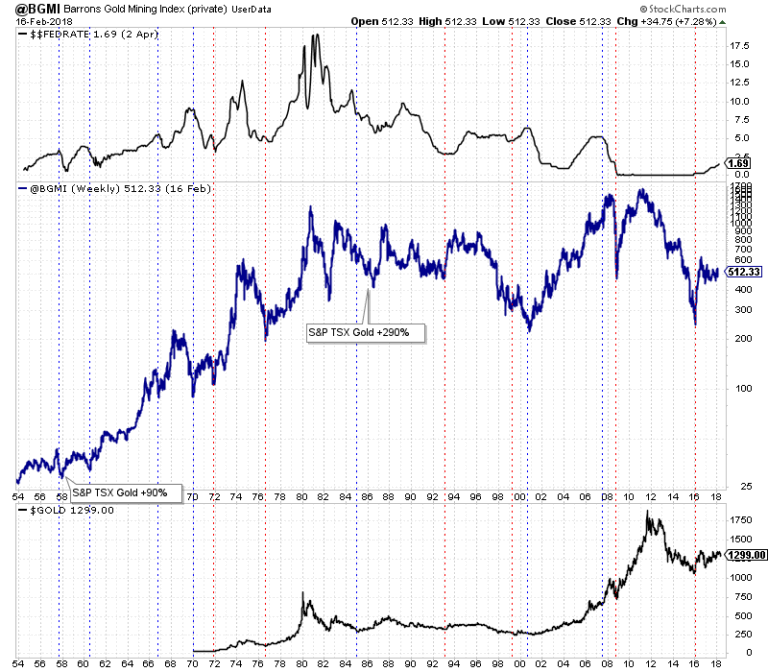 That would be the time Gold and gold stocks begin a major move higher. In the meantime we continue to focus on and accumulate the juniors that have 300% to 500% return potential.